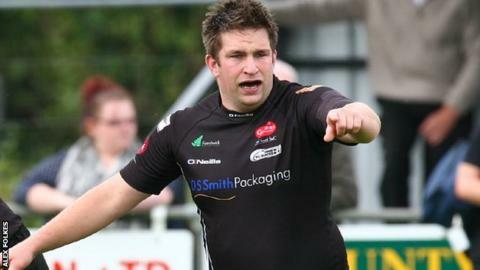 Launceston have re-signed prop Tom Hurdwell from Barnstaple. The 33-year-old left Polson Bridge earlier in the season to get more games, but with Sisa Naqasima leaving the club and Bruce Pow still injured he has rejoined the Cornish All Blacks. "I'm looking forward to him cementing a place," said boss Neil Bayliss. "We kept an eye on Tom, we knew he'd gone to Barnstaple to get game time, so when the opportunity arose he was happy to come back to us." Hurdwell will go straight into the squad which will travel up to National Two South leaders Henley on Saturday. "Tom's an All Black through and through," Bayliss told BBC Radio Cornwall. "Bruce Pow is out for the long term and Sisa Naqasima was always due to leave us at Christmas as his wife's been posted away with the army and he's gone to join her."